Are you looking or searching for the right welder that can aid you to carry out your errands effectively? Well, better try out welders from Everlast. Everlast welders are found almost everywhere in our markets from the small hardware stores to big retail stores. They are affordable and can help increase the performance, and ensure that an individual does almost all the repairs in the house. Honestly, when looking for a welder, Everlast welders are affordable and cannot break your budget. Many reasons make people love to use welders from Everlast. Specifically, the brands are durable, top rated, and can fulfill your welding needs. 4.1 I have a problem with my Everlast welder. Whom do I contact? 4.2 I have an interest in being an Everlast dealer. Does Everlast have such programs? 4.3 Does Everlast sell refurbished or used products? 4.4 Why are Everlast welders so expensive? In this piece of work, we are going to address the top Everlast welder reviews followed by a buying guide. 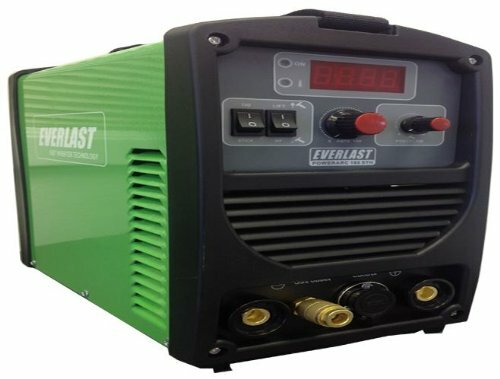 One of the best things about working with Everlast welders is that they can work with both AC and DC sources of power hence guarantees versatility. Here is a critical analysis of top eight top Everlast welders. To open our list, we start with the 160STH EVERLAST welder. 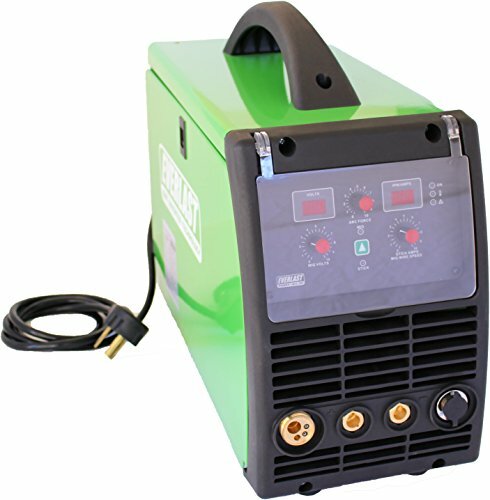 This stick IGBT Welder is a perfect and ideal purchase to anyone looking for the welder with both AC and DC capability. Furthermore, a lightweight machine that can easily be transferred to any place. This makes it an ideal choice in doing the daily welding and repair chores both at home and or at the welding shop. Moreover, its IGBT inverter design provides a stable arc with an auto-adaptive hot start. It is also better to understand that the welder provides an auto-adaptive arc control of force, which together with 1/8″ electrodes results in perfect welding. More so, it also provides excellent working experience with the E7024, E7014 E6013, and E6011. In case it is required, the welder offers the capability of DC TIG. The unit comes with a built-in gas solenoid and a remote connection. Specifically, this two feature guarantee that the gas flow can be controlled automatically. One thing you will also appreciate about this welder is its high-frequency operation. Besides, the machine accepts dual voltage input, and this implies that you can use it anywhere where there is a power supply. However, one thing that you ought to remember and may be a disadvantage for this machine is that it does not accompany food pedal. Therefore, in case you need to control the amperage remotely, you have will be forced to purchase the foot pedal separately. The other features of the welder that you may like include a smooth and stable DC arc, a modern display with a modern setting. 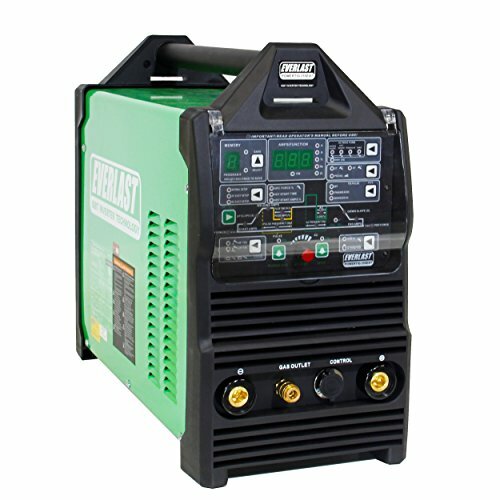 So, this machine is for you if you are looking for the best welder that doesn’t consume much power. 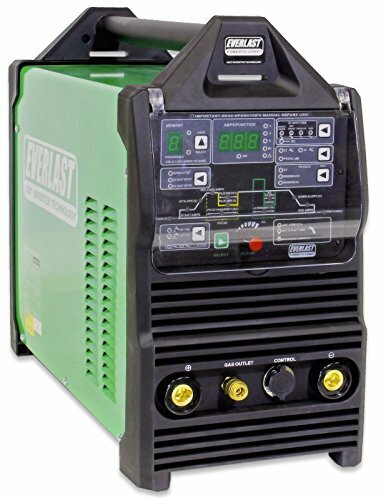 The PowerARC 160STH by Everlast is vastly respected, and you can hardly miss it in any everlast tig welder reviews, mainly because it has a combination of welder that provides you the freedom during usage. In this regard, one can switch between the ARC and the TIG welding. It is an outstanding brand due to its commitment to producing high quality and durable products, and their designs are of great value. Mainly, this combo welder is easy and quick to use and not forgetting that it is sufficiently heavy duty to have jobs of high quality done. Also, the welder offers significantly reasonable 35% at 160 amp, as well as higher percentages once you increase the power. It is a machine that provides excellent portability whenever you go welding with it. Manufacturers of this particular type of welder ensure that you can take it anywhere by including a shoulder strap and it is a lightweight machine. It is worth noting that the Everlast PowerARC 160STH has an option to operate at 120v or 220v and this means that a person can set up and use it for welding within some few minutes at any place provided there is a power source. Whether one is a seasoned welder or a newbie, you can realize that the machine offers a great deal of service at its price when compared to other average devices. The idea that it is stable and has a smooth arc is an impressive factor on its own. Moreover, it has adjustable power ranges, and this qualifies it as a perfect welder to use in all your repair projects. 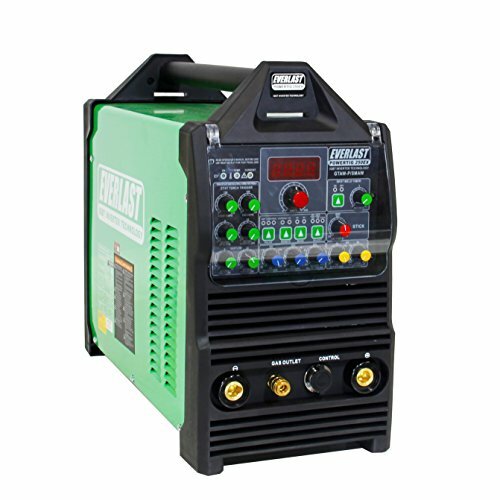 Everlast Power TIG 255 Pulse Welder is a machine that will help you reach your dreams of taking your business or shop to the level of welding capability. The inverter-based digital PowerTIG 255XT provides exceptional performance and power at a budget-friendly price. The machine not only has distinguishing features but also a competitive element which makes it a unique brand from the other standard welders. Additionally, an individual will find a performance that is surprisingly competitive if you start a feature to feature comparing with other welders. The advanced functionality in the welder includes a high pulse, memory, and the waveforms. And this is due to the first microprocessor from Infineon. It is carefully made for durability hence reparability and maximum life. Furthermore, the Infineon IGBT modules of power are there to guarantee that the welder increases its performance and reliability. However, it’s crucial for you to note that the Everlast Power TIG 255 Pulse Welder has a solid-state frequency and gapless design features. This improves the start reliability and reduces the issues in maintenance. User sometimes can have a challenge when it comes to using most welding machines but not in the PowerTIG 255XT power welder. It has a menu design that is simplified which allows easy and quick selection of settings. The machine is easy to start since it has the natural start factor in DC or C modes, and this makes the process of setting up to be comfortable and quick for any beginner and to all advanced users. Lastly, the machine ensures a maximum duty cycle due to its full-time fun. Versatility and power are at the top of the list of power i-MIG 200 features. The modern digital IGBT inverter-based design of the power i-MIG 200 welder has dramatically reduced the footprint, and the weight of the unit was hence making it highly portable. Accordingly, its dual voltage design allows the machine to be used anywhere once there is a source of power. The unit has various features in its packing when compared to other standard welders. Notably, the unit’s dual digital display has both amp and volt readouts which allow the user to make repeatable and precise adjustments to the parameters. Also, the unit has the stick feature, which adds an extra dimension of performance and versatility when the power i-MIG 200 welders are not practical or needed. Additional functionality to the unit is the arc force control, which manages the arc features in both stick and MIG modes. In the MIG mode, the arc of the unit manages current rise time and bead contour, affecting puddle fluidity and penetration. The arc force control in stick mode improves the performance of the arc in short arc situations. Accordingly, the power i-MIG 200 has various performance features such as the automatic post-flow and pre-flow. Its weld aluminum has an optional spool gun, duty cycle, and overcurrent features with weld interrupt and warning lights. There is other standard equipment included in its package, such as; the euro style quick connector, consumable starter kit spare, work clamp that has a cable, and an Ar/CO2 regulator. 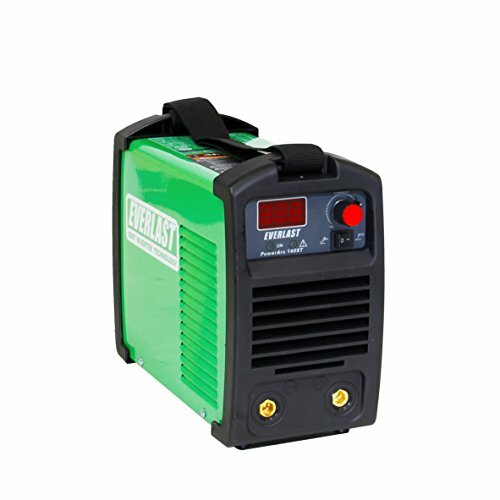 The Everlast PowerARC 140amp is a small portable welder that has both DC lift TIG and stick capability. This IGBT inverter based welder is accompanied by a carrying case, and it includes a stick holder with the DINSE style connector and a cable, work clamp, and a gas valve TIG torch. The quality of this PowerARC is just like other commercial machines. This machine has both the automatic adaptive arc force control and the auto-adaptive hot start in stick mode, which boosts the weld-ability with electrodes that are hard to start. Furthermore, the features can be helpful in circumstances where rod sticking can be a challenge. Moreover, the PowerARC 140ST is a 120v/240v dual voltage, which enables the unit to continue welding continuously whenever there is a clean source of power. It is prudent to know that the regulator is not added and therefore you are required to purchase a regulator whenever planning for a TIG welding. As evidenced earlier, the PowerARC 140ST welder is a powerful machine, but power is not the only fantastic thing about the remarkable unit. The welder is small, compact, and portable, hence easy to carry anywhere you may want to be welding. Practically, this allows various places of use such as at home, in portable repairs, farm or ranch, fabrication shops, and prototyping. Also, there are two recommended metals for the units, which are steel and stainless. The machine gives you an easy operating time since it is effortless to operate with included features such as the auto-adaptive hot start. If you need an Everlast multi-process welder, the PowerARC 140ST can be a perfect choice. At the sixth position, find the PT325EXT PowerTIG, which is one of the best Everlast welders. For sure, it comes with some outstanding features. First, it has been designed for heavy duty work. Second, this machine comes boasts a digitally controlled microprocessor. Moreover, its power usage is rated up to 320 amps. Furthermore, another remarkable feature about this machine is its both DC and AC voltage input. Besides, it comes designed to give the service for years to pass. I know you have been wondering why its price is a bit higher than its counterparts; now you have the answer. Its durability design is what makes it have a higher value. Another thing that you will note about this machine is that when operating in AC mode it produces a higher pulse than in DC and this improves penetration especially when welding aluminum. Additionally, the AC frequency, waveform control, and the balance control work together to make the welder seem amongst the powerful aluminum welders. However, you should not overlook the DC potentials of this unit. When operating in DC mode, it produces a regular pulse frequency that ranges up to 500 Hz. As mentioned early, the digital microprocessor control is one of the main features of the unit. Other additional features may prove to be significant to you such as the 480V 3 phase input capability, and a pulse of 250Hz in AC, and up to 500Hzin DC. Markedly, it has natural startup feature in DC or AC to ensure that both advanced users and beginners have an easy time to run the machine. PowerTIG 325EX has a simplified menu design, which enables you to select and adjust settings quickly. PowerARC 200amp IGBT welder is a unit built with minds of true professionals with aims to reach the needs of the customers. It is among the few welders in the Everlast line that have a high welding power since they are built with 200 amps of live lift TIG/DC stick. With its modern digitally controlled unit, there lies no issue on design or performance. The machine features E6010 welding abilities hence enabling the welder work in shipyards, portable repair jobs, construction sites, and container and presser vessels. The unit can work in many other places. For great low spatter arc working on stainless class electrodes, the machine has a different connector port for the other rods of welding. When operating in the standard mode, the welder features auto-regulated arc force control as well as the auto-adaptive hot start. Notably, the features provide you the required amount of arc control in almost every situation. The primary DC live lift TIG capability of the welder also lets the unit work well on stainless and steel applications. 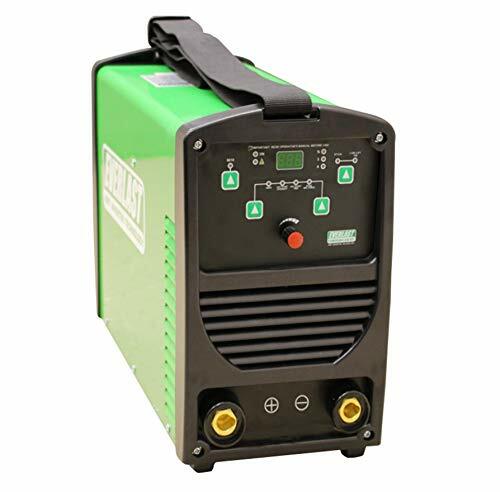 Even though the machine is created for pros who demand a lot from their work, PowerARC 200amp IGBT welder can help at home, the farm, and in garages, since it features 120V/240V dual voltage running. More importantly, remember to get a gas regulator and gas valve TIG torch if you want to weld with this unit. Its high power can enable you to perform in different industrial aspects of welding and therefore try it and get your needs satisfied. Everlast PowerTIG 250EX is a welder that is remarkably suitable for both the professionals who require a well-equipped welder and the welding enthusiast. Not only is it a performer, but it is also a versatile machine that provides 250 amps of welding power, and this is just in a single phase. Additionally, when comparing it with other brands, it produces higher results when compared to most standard welders of the same level. Everlast PowerTIG 250EX manufacturers have equipped the unit with different items such as the fully adjustable pulse, AC balance control, AC frequency, 2T/4t remote control functions and Stick function with control arc force. Moreover, it has a spot weld timer for people who require making routine or perfectly made spot welds on metal sheets. Specifically, this feature is helpful especially to newbies who want to learn how to weld using this machine. You are also going to note that the unit has the IGBT inverter module that reduces the weight and the sizes of the machine hence making it highly portable. You can choose to use it wherever you want as long as there is a power supply to operate the unit. Once you purchase, you can efficiently operate on both 240V three phase power and 240V single phase power. 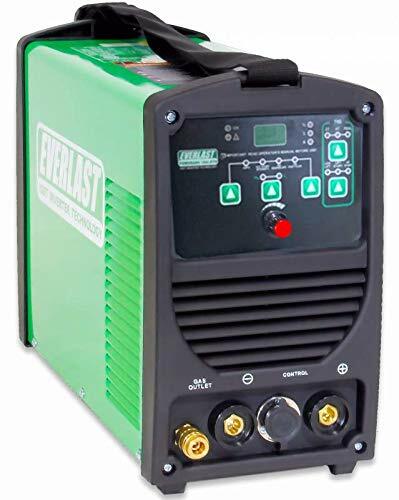 Besides, there are those who may require welding a thin gauge material; the Everlast PowerTIG 250EX has a low amp start-ability in both DC and AC modes that go up to 5 amps. There are other crucial features such as; the consumer starter (even though the tungsten is not included), and easy to find and understand color-coded controls. Each task may either require various kinds of metals or a particular metal. For this reason, a welder must know the type of metal in which the welder will work on, and this will help you choose the best method of welding. There is a list of particular metals and their corresponding welding processes. Metals such as stainless steel may require MIG, Stick, or TIG. Accordingly, cast iron requires Stick, and Copper, Brass, and Chromoly require TIG. Lastly, Magnesium or Titanium require TIG. With all this in minds, you can select the best welder for your job. It is easier to identify this long as you know the materials you will weld and the welding projects. Projects in welding are of a wide range such as fabricating a motorcycle, metal sculpting for sculptures, farm tool repairing or even fixing a component of an old car. Knowing the thickness of the material is crucial as it gives you an idea of how you can proceed with your welding. An automobile body material has a maximum of 3/16 inches. Additionally, lawnmowers and bicycles have 1/16 inches and cars, utility trailers, boats and motorcycles have a maximum of 1/16 inches. It is one of the crucial aspects of selecting a welder. One must choose a welder that is suitable for the welding work. Most buyers ask questions related to the right welding process. Our current world has people who acknowledge the need for TIG, MIG, and Stick in their shops. The good news for buyers is that Everlast provides its TIG, MIG and Stick collection where each model can render the three methods of welding without any problem. Thanks to modern inverter technology. Choosing one model on the three may not help you meet the welding requirements. The workplace is a consideration that most people ignore but the environment in which a person works matters a lot while choosing a welder. People working in outdoor in corners that are breezy may not work well with the MIG welder since it is not a reliable option. The airy components can blow the guarding gas, which leads to joints that are porous. Therefore, we can say that stick welding may be the most reliable option. The power source is also an important consideration when selecting your welder. I have a problem with my Everlast welder. Whom do I contact? Contact the Everlast; they offer full support and assistance in case of an issue with any of their products. They always provide assistance related to troubleshooting and answer queries from you. I have an interest in being an Everlast dealer. Does Everlast have such programs? Yes, Everlast Company provides a dealership program, and they are willing to work with any person interested in aggressively promoting and stocking their products. Dealers who meet their criteria will receive training and support to ensure success. Does Everlast sell refurbished or used products? Occasionally, Everlast sells factory reconditioned units on auction or sale. So, there are also refurbished ones if you are looking for one. Why are Everlast welders so expensive? Everlast products are trademarked and registered. They offer unique and distinctly different products from other competitors, and it is what makes them expensive. Everlast offers high-quality welders which are specifically designed to meet your needs. 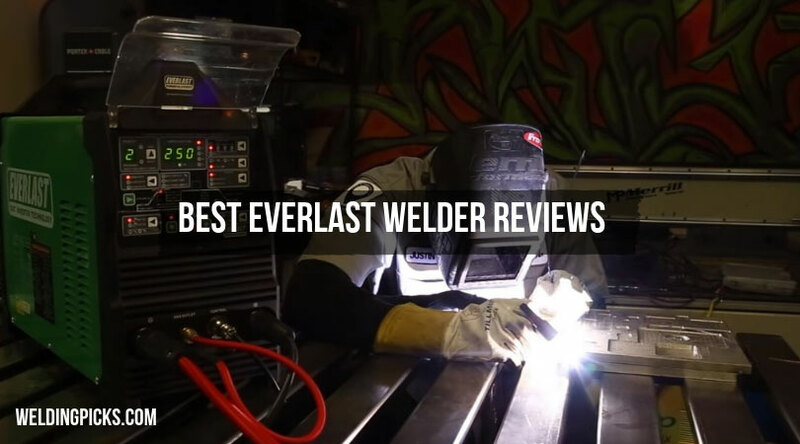 When buying any of the Everlast welders, it is crucial to look at the factors provided in the above Everlast welder reviews to find a welder that meets your needs. Buy welders from Everlast and have the best welding experience.